One of the favorite stories from my book, “The Kindness Revolution”, deals with the Nordstrom philosophy of hiring their employees. They call it “hire the smile and teach the skill”. Restated, this simply means that they have found it makes more sense to hire good people and teach them the retail business than to hire experienced retail employees and try to mold them into good people. It must work well…the success of Nordstrom is phenomenal. I don’t have to describe the incredible customer attraction of an organization consisting of “good” employees, employees who are trustworthy, kind, and empowered to use their own judgment to deal with customer problems. Most companies can only imagine the results of this cultural change. But it can, and does, happen. Companies are rapidly discovering the improvements in both employee and customer retention when they focus on redefining their cultures to emphasize values such as kindness and respect and not taking their eyes off of that culture. Note the use of the word “redefine” in the last sentence. I use that because, unbeknown to some business leaders, ALL companies and organizations have a culture. The fact that many leaders do not recognize their culture doesn’t mean that it doesn’t exist. It simply means that the culture is not recognized at the top (you can believe that it IS recognized by the employees!). 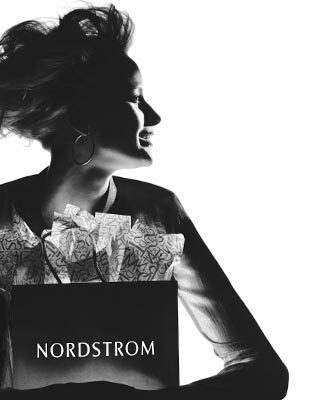 When the focus of an organization shifts towards one based on “good people”, such as Nordstrom’s, an interesting phenomenon takes place. The organization becomes “self policing” and the employees who don’t fit into the redefined culture feel so uncomfortable that they eventually leave….they don’t fit in the new culture. Try it. The next time you are filling a spot in your company, put focus on the “people” side of the prospective employee as opposed to the “skill” side. See for yourself the difference it makes in your company. Companies that focus on kindness are going to win the day against those who focus merely on process and skills. Ed Horrell is author of the best selling book The Kindness Revolution and Founder of the national initiative of the same name.